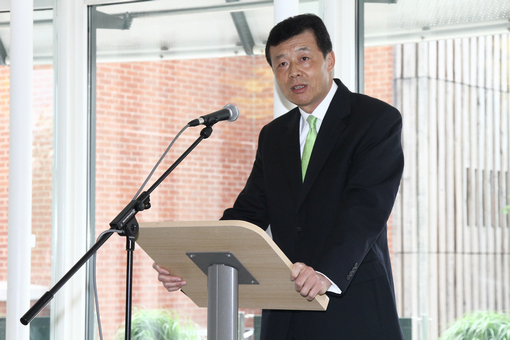 Remarks by Ambassador Liu Xiaoming at the Reception Hosted by the British Library to Celebrate "Window to China"
It's a great pleasure to join you at tonight's reception to celebrate the "Window to China". I would also like to warmly welcome Madam Chang Pijun and her colleagues from the National Library of China. This is my first visit to the British Library. But I do not feel as if I was a stranger here. For one thing, the British Library has a long standing reputation as one of the world's leading libraries. It is particularly well-known in China because of its association with Karl Marx. Furthermore, libraries are centers of knowledge and progress. As ambassador, I see it as an important part of my mission to strengthen knowledge and understanding between China and my host countries, an inherent part of which is to facilitate exchanges and cooperation between libraries. When I was Ambassador to Egypt, I visited the Library of Alexandria many times, which is known as the sun of the civilized world. I have also worked to bring an exhibition of Chinese Characters to the library. During my ambassadorship in the DPRK, I donated books to the Korean national library on behalf of the Chinese Government. Here as Ambassador to the UK, I am even more enthusiastic about facilitating exchanges between libraries as a vehicle for spreading knowledge, understanding and friendship among the people. I am glad to learn that the British Library and the National Library of China have developed a sound partnership based on close communication and regular exchanges. Last year, Chief Executive Dame Brindley attended the centennial celebration of the National Library of China. Any mention of the cooperation between the two libraries will not be complete without reference to the International Dunhuang Project. Dunhuang has a special place in my heart, as I worked as Assistant Governor of Gansu Province, the home province of Dunhuang. The Dunhuang manuscripts are precious legacies of human civilization that belong not just to China, but also to the world. The digitalization of the Dunhuang manuscripts as part of the 9-year cooperation between the two libraries is not only conducive to international protection and restoration of ancient manuscripts, but also contributes immensely to global research in this area. 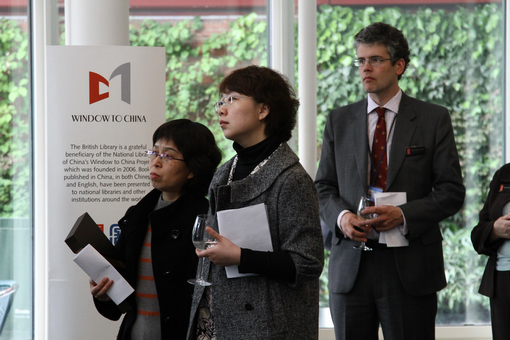 From 2006 on, the British Library became a beneficiary of the "Window to China" project sponsored by the National Library of China and has received 3,500 books by far. These books have become an important resource for British readers to understand China and appreciate Chinese culture. While celebrating the "Window to China", I hope libraries of our two countries will work together to open up more windows for people to better understand each other and contribute more to strengthening the friendship between our two peoples.